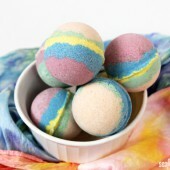 Ever since we created the formula for Rainbow Bubbling Bath Truffles, we can’t stop putting new spins on it. 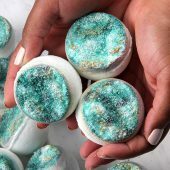 Our first recreation was the Mermaid Bubbling Bath Truffles, complete with an aquatic color scheme and tropical scent. 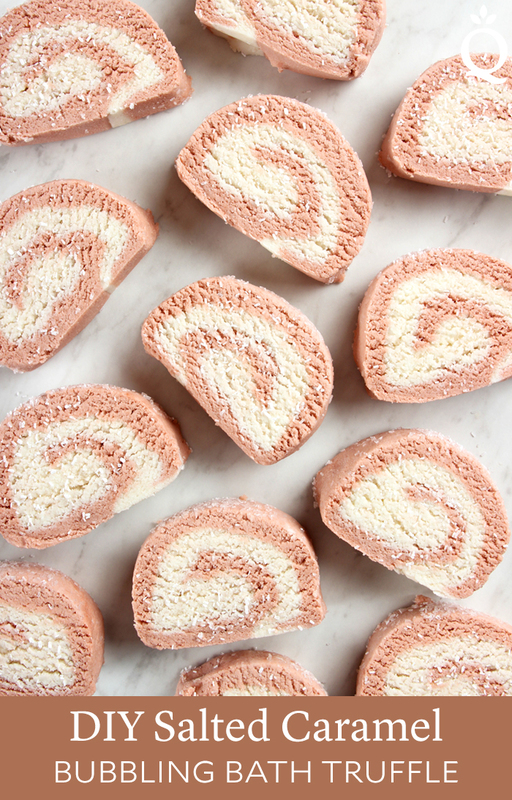 Now we are looking to the holidays with the latest iteration – Salted Caramel Bath Truffles. 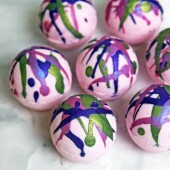 Scented with delicious Burnt Sugar Fragrance Oil, these bath truffles smell good enough to eat. Epsom salt is sprinkled on top to give texture, but it’s also a skin-loving bath additive. 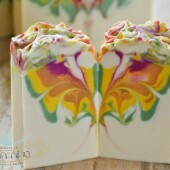 Cocoa butter and shea butter add plenty of moisture to the bath. Polysorbate 80 helps emulsify the butters and bath water to prevent large pools of oil in the tub. 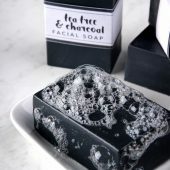 In the water, the formula creates a slow fizzing reaction and with small, creamy bubbles. If you want more bubbles, place the bar directly under the running faucet while breaking it into small pieces. 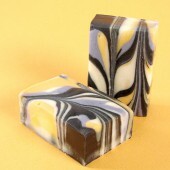 Burnt Sugar Fragrance Oil does discolor to a deep tan. Discoloration in bath bombs is tricky; sometimes the discoloration happens and sometimes it doesn’t. We have found that in general, the discoloration takes about a week to show up. We made these bath bombs about two weeks ago, so they may continue to discolor. 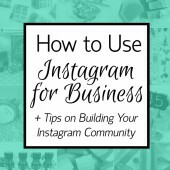 We chose this color scheme on purpose – if the bars do turn more brown, they’ll still look like rich caramel. UPDATE: Below are the bath truffles after about 1.5 months. As you can see, the white layer has turned tan. It took quite a while for the discoloration to occur, but that could vary batch to batch. 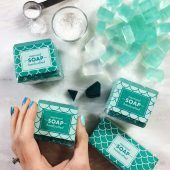 If you don’t plan on using these bath truffles within about a month, there are a few vanilla discoloration workarounds for this project. 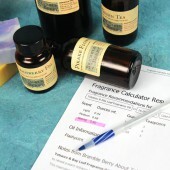 You can choose a different, non-discoloring fragrance oil. 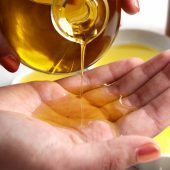 A great option would be Pure Honey Fragrance Oil – it has sweet, foodie notes and no discoloration. Only add the Burnt Sugar Fragrance Oil to the tan half of the bath truffle mixture. Add more Bronze Mica. 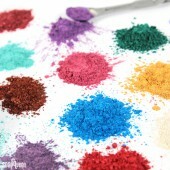 If the tan-colored half of the mixture is darker, the contrast may pop a little more. Just keep in mind more color will also be in the bath water. 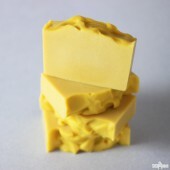 ONE: In a small heat-safe container, add the shea butter and cocoa butter cubes. Place the container in the microwave and melt the butters using 30-60 bursts. The cocoa butter takes a little while to melt. Be careful when removing it from the microwave, as it may be very hot. 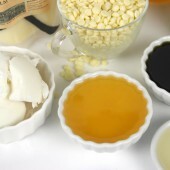 TWO: Add the Burnt Sugar Fragrance Oil, polysorbate 80, and glycerin to the melted butters. Use a spoon to thoroughly incorporate. Set aside. THREE: Place a fine mesh sifter over a large container. Add the baking soda, citric acid, and cream of tartar. Pour the ingredients through the sifter to get rid of chunks. Use a whisk to mix the ingredients together. Very carefully, add the SLSA to the large container (do not put it through the sifter). I recommend adding the SLSA very last because it’s extremely fine and powdery and can become airborne very easily. You may want to wear a mask during this step to avoid breathing in any SLSA. It is irritating if you breathe it in. Once everything’s added, slowly mix together the dry ingredients. 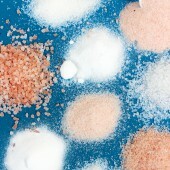 FOUR: When the liquid ingredients are about 180 ° F, add 1/3 to the dry ingredients. This is quite hot, so gloves are recommended. The hotter the liquid ingredients are when added, the softer the final “dough” will be. Adding the liquid when it’s hot reduces the need to microwave it later. 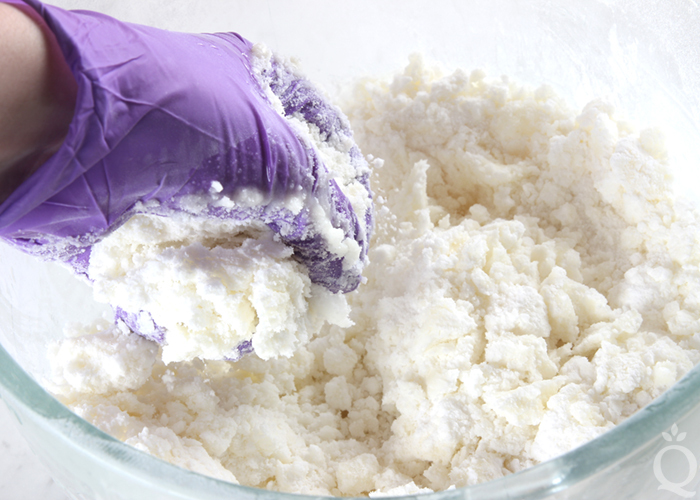 Use your hands to incorporate the liquid and powder ingredients together. If you prefer, you could also use a stand or hand mixer for this step, but we prefer using our hands. 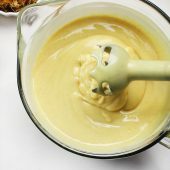 FIVE: Continue adding the liquid ingredients in 1/3 increments to the dry and mix together until fully incorporated. 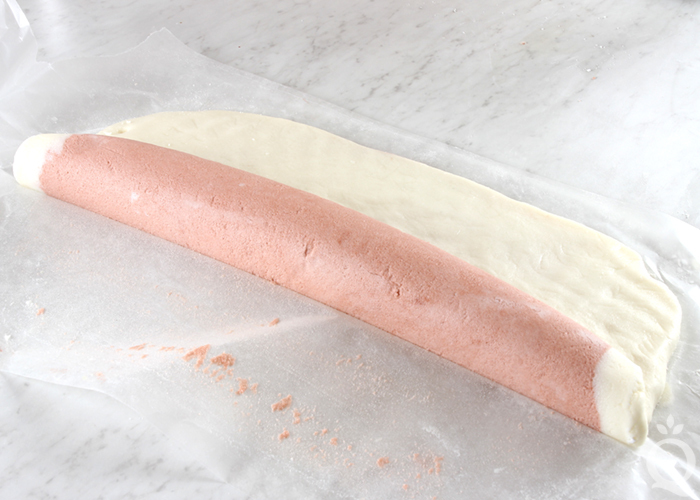 The final texture will be very similar to bread dough – soft, workable, and slightly sticky. 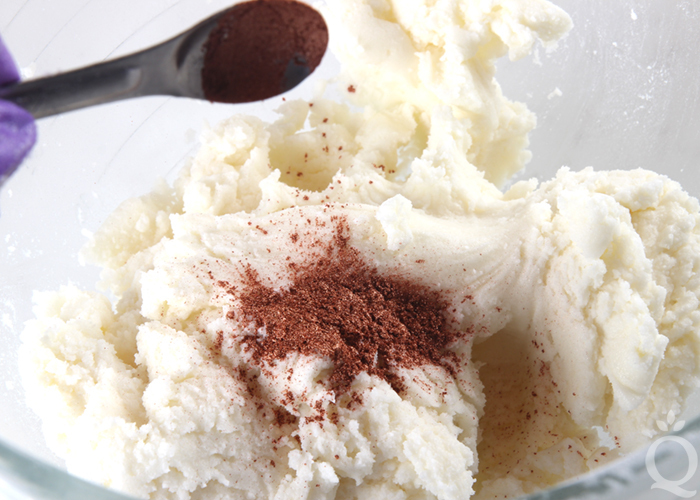 The texture of the mixture depends on the temperature of the butters. The warmer the dough, the softer it will be. 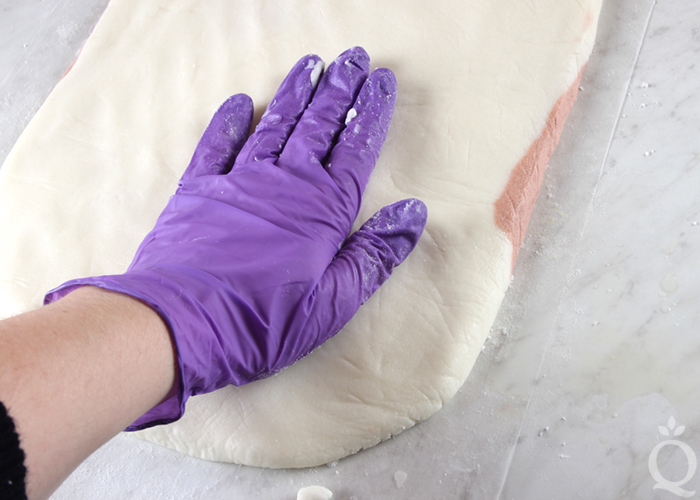 We found a dough temperature of about 85-100 ° F is a great moldable texture. 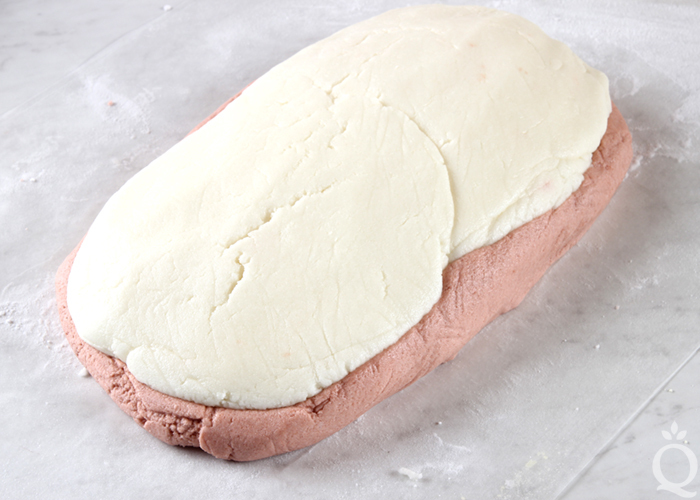 If your dough is cooler than that, place the entire mixture into the microwave for 10-20 seconds to warm it. SIX: You will have about 60 ounces of mixture. Split the batch into two equal containers. You can eyeball it, or weigh it depending on your preference. 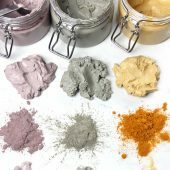 SEVEN: To one container, add 3/4 teaspoon of Bronze Mica and use your hands to thoroughly mix in the colorant into the dough. If you’d like a darker color you can add more mica, just keep in mind this may leave behind more color in the bathtub. 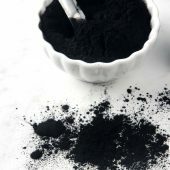 EIGHT: Once the mica is thoroughly mixed and there are no streaks of color, lay down a sheet of wax paper on the counter and sprinkle on a thin layer of baking soda. 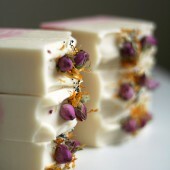 This prevents the bath truffles from sticking to the counter, and is used to roll up the batch. 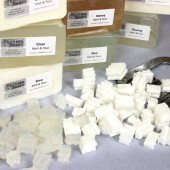 Lay the brown mixture on the wax paper, and begin forming it into a rectangle shape. Place the white mixture on top, and use your hands to spread it evenly onto the brown. Create a flat rectangle shape – about 14 inches long by about 7-8 inches tall. 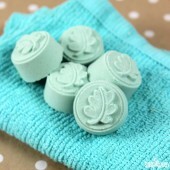 NINE: Use the wax paper to roll the bubble bars. The bars may stick to the paper slightly, but that’s okay. You can use your hands to smooth out the roll if necessary. TEN: Continue rolling, and use your hands to help create a smooth, even log. ELEVEN: Once you’re happy with the shape, sprinkle the top with Epsom salt and press it gently into the log to help it stick. TWELVE: Use a sharp non-serrated knife to cut the log into bars. If the log is extremely soft, it can be a little sticky and needs to be handled very carefully. You can wait for about 30 minutes for it to harden slightly, or cut the bars very gently. How soft the log is will depend on how hot the butters were when mixed in, and if you placed the mixture in the microwave. 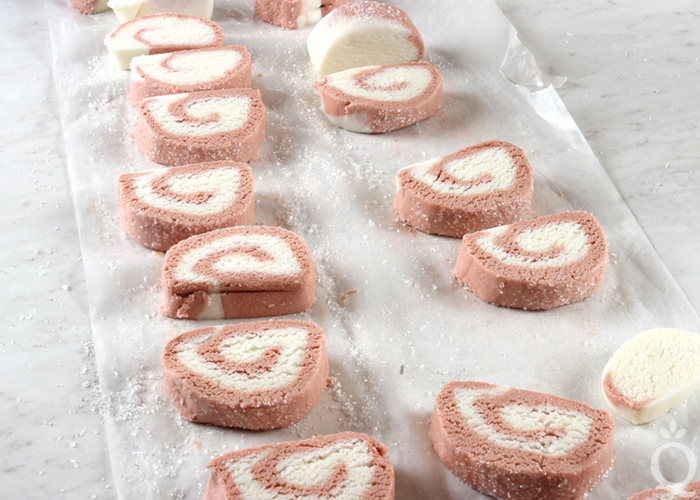 THIRTEEN: Once the bars are cut, place them gently on a piece of parchment paper or wax paper. Use your hands to give them a more uniform shape, smooth the edges, or fix any chunks that may have fallen off while cutting. Sprinkle more salt on top if you’d like. 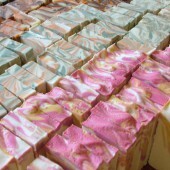 As the butters in the bath truffles cool, they become hard. It takes about 3-4 hours for the bars to become firm depending on your room temperature. It can be hard to wait, but be patient! 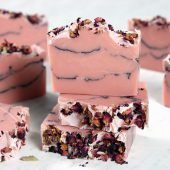 Once you’re ready to use the bath truffles, place them in the tub for a slow fizzing reaction with a small amount of foamy bubbles. If you want to “activate” more bubbles, hold the bar directly under the running bath faucet while breaking off small amounts of the bar. 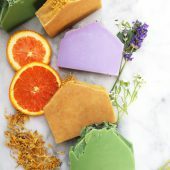 These bath truffles are made with skin-loving cocoa and shea butter and scented with Burnt Sugar Fragrance Oil. 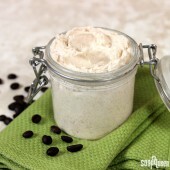 In a small heat-safe container, add the shea butter and cocoa butter cubes. Place the container in the microwave and melt the butters using 30-60 bursts. The cocoa butter takes a little while to melt. Be careful when removing it from the microwave, as it may be very hot. 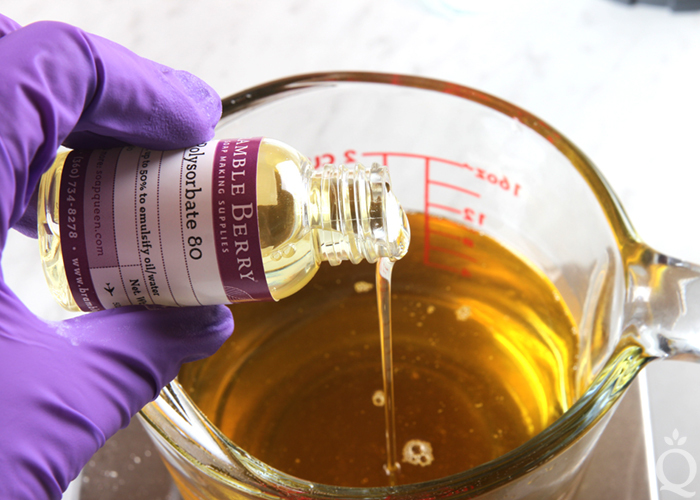 Add the Burnt Sugar Fragrance Oil, polysorbate 80, and glycerin to the melted butters. Use a spoon to thoroughly incorporate. Set aside. 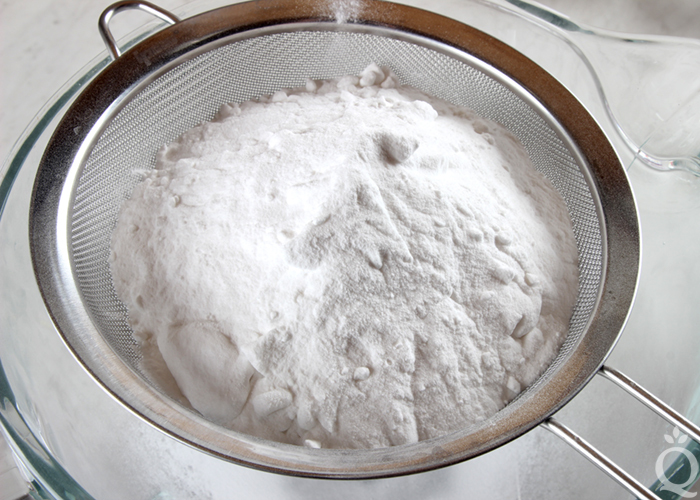 Place a fine mesh sifter over a large container. Add the baking soda, citric acid, and cream of tartar. Pour the ingredients through the sifter to get rid of chunks. Use a whisk to mix the ingredients together. Very carefully, add the SLSA to the large container (do not put it through the sifter). I recommend adding the SLSA very last because it’s extremely fine and powdery and can become airborne very easily. You may want to wear a mask during this step to avoid breathing in any SLSA. It is irritating if you breathe it in. Once everything’s added, slowly mix together the dry ingredients. When the liquid ingredients are about 180 ° F, add ⅓ to the dry ingredients. This is quite hot, so gloves are recommended. The hotter the liquid ingredients are when added, the softer the final “dough” will be. Adding the liquid when it’s hot reduces the need to microwave it later. 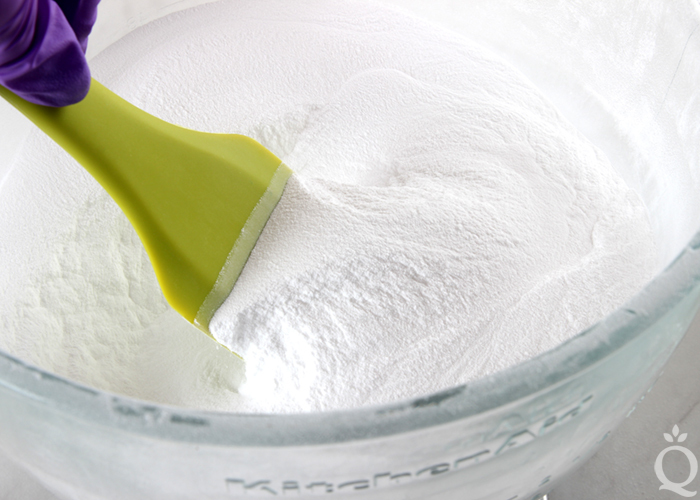 Use your hands to incorporate the liquid and powder ingredients together. If you prefer, you could also use a stand or hand mixer for this step, but we prefer using our hands. 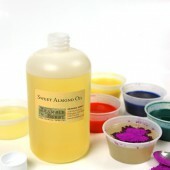 Continue adding the liquid ingredients in ⅓ increments to the dry and mix together until fully incorporated. 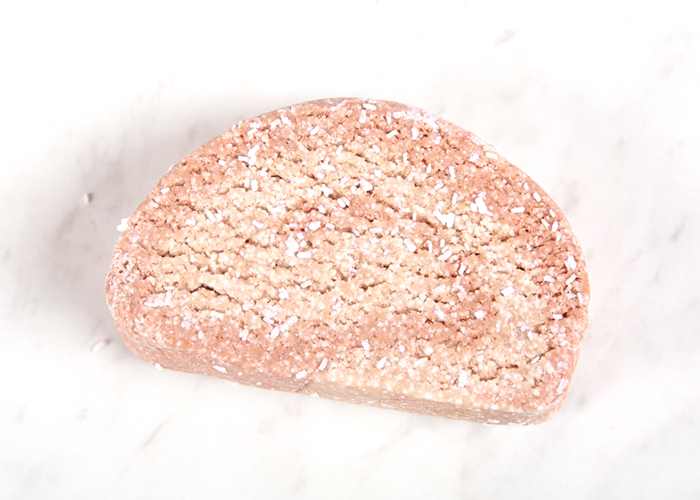 The final texture will be very similar to bread dough – soft, workable, and slightly sticky. 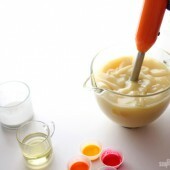 The texture of the mixture depends on the temperature of the butters. The warmer the dough, the softer it will be. 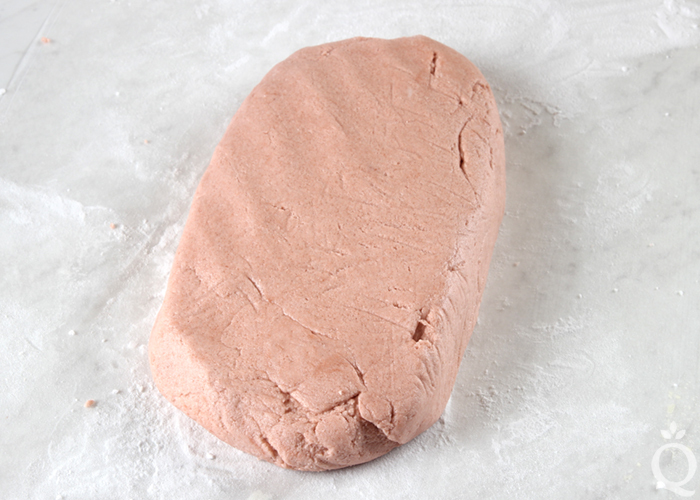 We found a dough temperature of about 85-100 ° F is a great moldable texture. If your dough is cooler than that, place the entire mixture into the microwave for 10-20 seconds to warm it. You will have about 60 ounces of mixture. Split the batch into two equal containers. You can eyeball it, or weigh it depending on your preference. 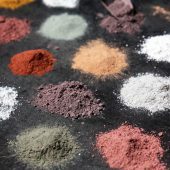 To one container, add ¾ teaspoon of Bronze Mica and use your hands to thoroughly mix in the colorant into the dough. 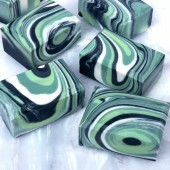 If you’d like a darker color you can add more mica, just keep in mind this may leave behind more color in the bathtub. 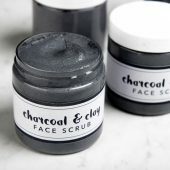 Once the mica is thoroughly mixed and there are no streaks of color, lay down a sheet of wax paper on the counter and sprinkle on a thin layer of baking soda. 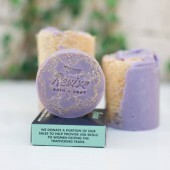 This prevents the bath truffles from sticking to the counter, and is used to roll up the batch. 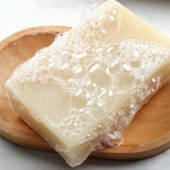 Lay the brown mixture on the wax paper, and begin forming it into a rectangle shape. Place the white mixture on top, and use your hands to spread it evenly onto the brown. Create a flat rectangle shape – about 14 inches long by about 7-8 inches tall. 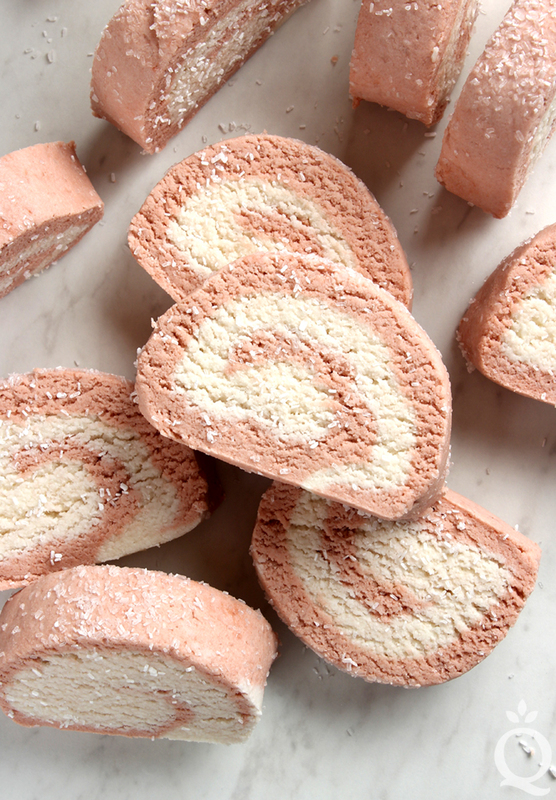 Use the wax paper to roll the bubble bars. The bars may stick to the paper slightly, but that’s okay. You can use your hands to smooth out the roll if necessary. 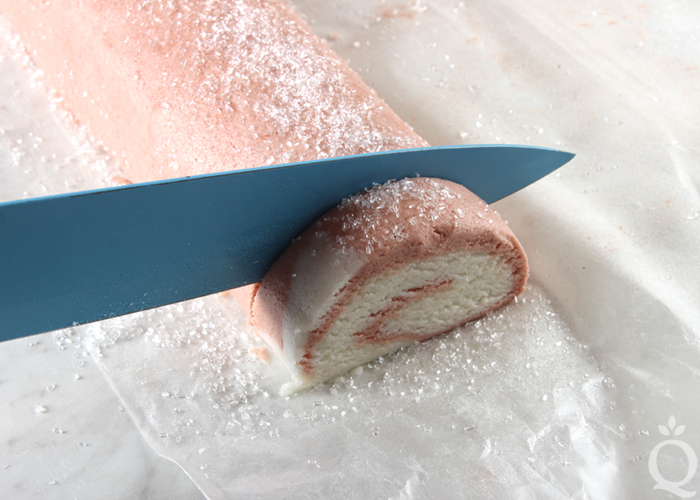 Continue rolling, and use your hands to help create a smooth, even log. 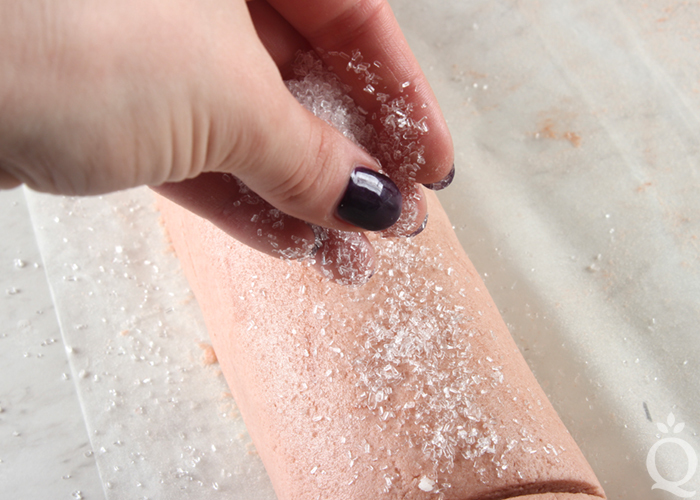 Once you’re happy with the shape, sprinkle the top with Epsom salt and press it gently into the log to help it stick. Use a sharp non-serrated knife to cut the log into bars. If the log is extremely soft, it can be a little sticky and needs to be handled very carefully. 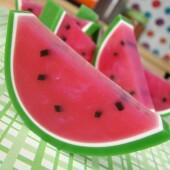 You can wait for about 30 minutes for it to harden slightly, or cut the bars very gently. How soft the log is will depend on how hot the butters were when mixed in, and if you placed the mixture in the microwave. 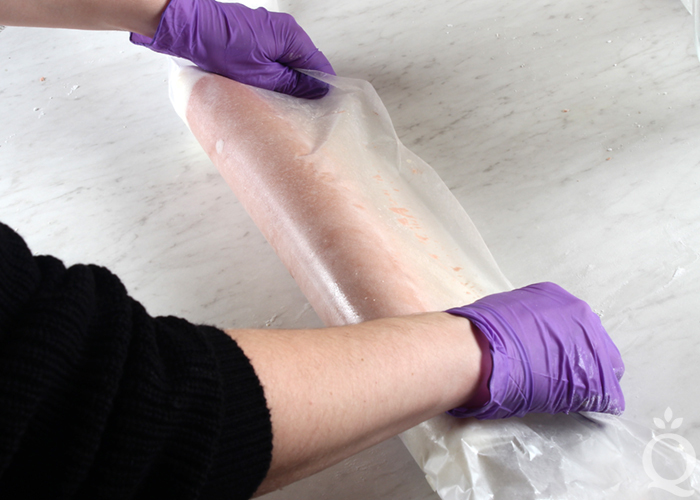 Once the bars are cut, place them gently on a piece of parchment paper or wax paper. Use your hands to give them a more uniform shape, smooth the edges, or fix any chunks that may have fallen off while cutting. Sprinkle more salt on top if you’d like. 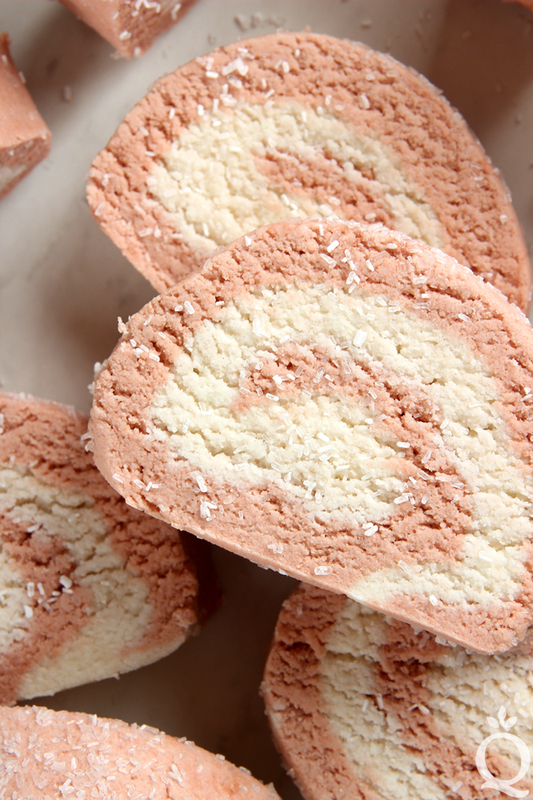 As the butters in the bath truffles cool, they become hard. It takes about 3-4 hours for the bars to become firm depending on your room temperature. It can be hard to wait, but be patient! 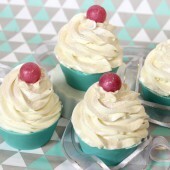 I use this recipe for bath truffle scoops and want to use vanilla for a fragrance. I use a color stabilizer to help with the color changing really well, but of course there’s then too much liquid in the recipe. Any tips on what other liquid I could hold back just a little bit on? 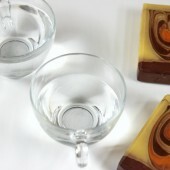 You could try cutting back on the Liquid Glycerin a bit to help reduce your liquids. 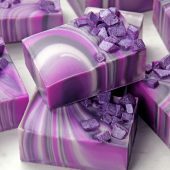 Though our Vanilla Color Stabilizer only works in melt and pour soap so we would not recommend using it for bath truffles. We’ve found the SLSA is the best ingredient for creating bubbles, and we haven’t been able to find a good substitute. Instead you can create regular bath bombs. 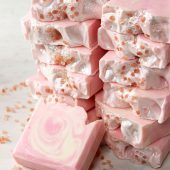 They’re made without SLSA and will fizz in the tub. I have made these truffles and they are beautiful. can you tell me the best way to package them as after a while they appeared to go mouldy. 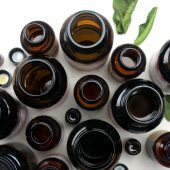 also is there a substitute for Sodium Lauryl Sulfoacetate as it is proving expensive and hard to find here in Australia. 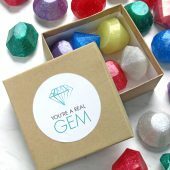 Once these truffles are hard, you’ll want to wrap them tightly in plastic wrap and store them in a cool, dry place. That will prevent them from absorbing moisture from the air. 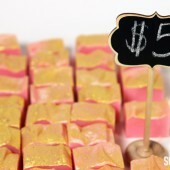 I made these and they turned out fantastic and truly luxurious! I only have one question…if I don’t have a microwave in which to reheat my “dough”, can I warm it in my oven and at what temperature setting please? I’m not sure, we haven’t tried this recipe in the oven. Instead you may try a double boiler or a heat-proof bowl set over simmering water. That should reheat the truffles gently. Thanks, will try it next time I make them! Mine turned out great then overnight they all went brown… is that the fragrance oil? They looked perfect to start but not now …. how do I get the white to stay and not just go the same colour as everything else! Burnt Sugar Fragrance Oil does discolor to a deep tan. Discoloration in bath bombs is tricky; sometimes the discoloration happens and sometimes it doesn’t. We have found that in general, the discoloration takes about a week to show up. We chose this color scheme on purpose – if the bars do turn more brown, they’ll still look like rich caramel. 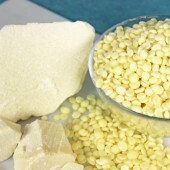 What is Polysorbate used for ? And can I cancel it from this recipe?? Polysorbate 80 is an emulsifier that helps the oil and color mix into the water rather than pooling on top. We recommend it for this recipe because there’s a lot of butter. Without it, the tub will be more slippery when you’re getting out. I feel completely stupid but when I ordered sls I didn’t realize it came in two forms. So I got the first thing that I found, it was liquid sls, and I still tried mixing it into this recipe and the results were, the whole mixture fluffing up. Now it’s done fluffing and still has some moisture to it so I was wondering if there’s any way to salvage what I have mixed up already? That form of SLS is usually mixed with water, so I think it’s reacting with the recipe and causing the bath bombs to fizz. Because it’s fizzing now it may not fizz in the water, you can try a small piece to see if it does. As of right now I’ve just let the mix dry out without trying to mold it. 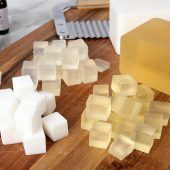 I was thinking of trying to add a bit more citric acid and oil to make it moldable. (Hoping it won’t fizz up again.) If it works out I’ll post about it incase there’s anyone else out there who ordered the wrong form of SLS lol. Thank you Tasha, that will be really helpful. How would this work out using molds instead of rolling them up? 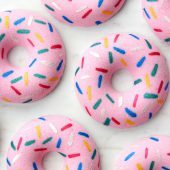 I have a cute idea using a silicone mold but I’m not sure how it would work. Oh, ha ha. I swear I looked but I see ananswer below! Doh. Sorry for repeating the question! No worries Jeanette, if you have any other questions let us know. We’re happy to help. I’m glad you mention the discoloration. I have been having huge issues with that and couldn’t figure out what I was doing. 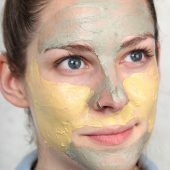 Is it the scent that discolors the product? 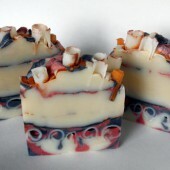 I used the Love Spell Type Fragrance and that batch did not discolor. Still have two bars that are perfect ivory white. 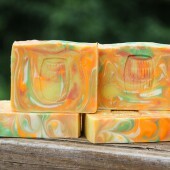 However other scents I have used, the barss have discolored within two weeks. I think if I knew what it was I could explain to customers. I have been throwing them away or just using them myself because I thought it was me making a mistake. LoveSpell does discolor, so I think that’s what’s happening. 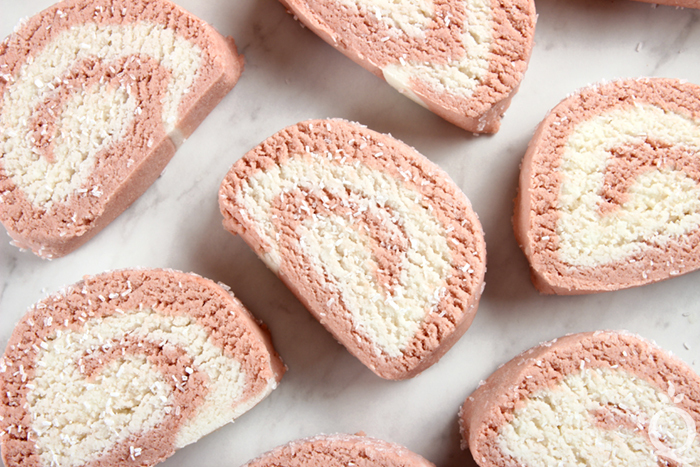 Discoloration will always happen in soap, but it’s not as consistent in recipes like these. Sometimes it happens, sometimes it doesn’t, sometimes it does after a few months. The bars are fine to use though. Yes, you can use any of our micas for this recipe. 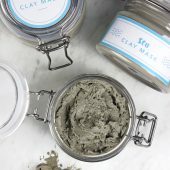 Can this be put into silicone molds instead of rolling and cutting? 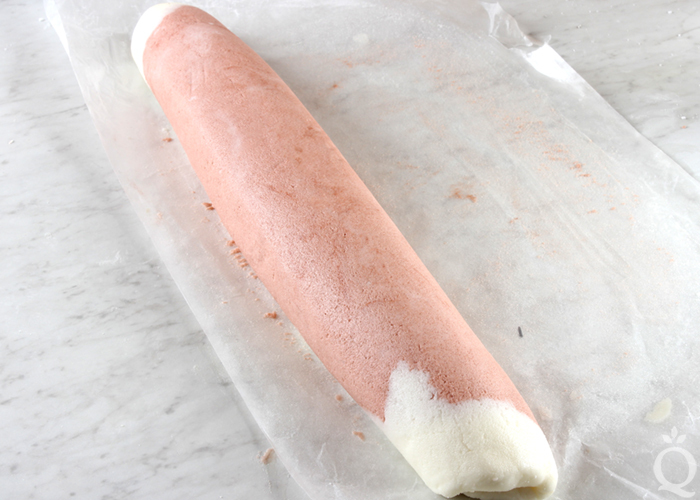 You may try a small test batch to see if it sticks to the silicone at all. It may help to dust the mold with baking soda to try and prevent that. 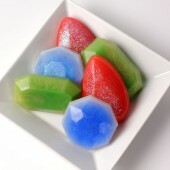 I would love to make these but it looks like not enough polysorbate 80 is used for all that butter in the recipe. 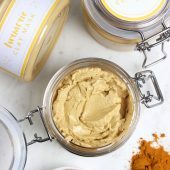 10.5 ounces of butters seems like a lot with only 1 percent polysorbate 80? 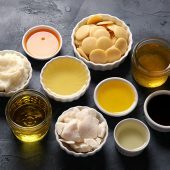 We found the 1% helps emulsify the butter and water, but because this recipe has such a high percentage of butter there may still be transfer to the tub even with more polysorbate 80. If you want to add more, I would recommend making a small test batch with 2-3% to start to see what you think. 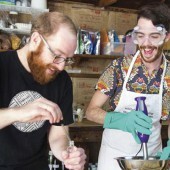 How should it tweak the recipe if I want to leave out SLSa? Without the SLSA, these truffles will just fizz instead of bubble. 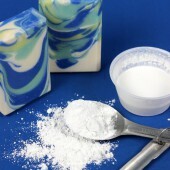 Because there’s less powder, you may want to decrease the butter so the bars aren’t too wet. I would recommend making a small test batch to find the right consistency. 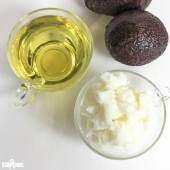 You can reduce the butters by about 3-5 ounces to start, then add more from there if you like. Is this like a 3-in-1 product? 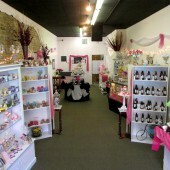 A Bath Bomb (53% Baking Soda /Citric Acid combo), a Bubble Bath Bar (21% SLSA) and a Truffle (17% Shea & Cocoa Butters)?? Which of these 3 characteristics do you think stands out the most? Thank you. I would say they’re most like a truffle. 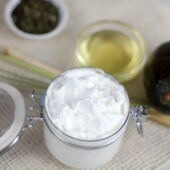 They will fizz and bubble slightly, but the main characteristic is the moisturizing butters melting in the water. It feels very luxurious. These look so good! Thank you for sharing this recipe . You can get about 10-15 truffles from this recipe (you can find that information at the top of this post in the “Yields” section). We cut them about 1″ thick. 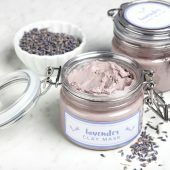 Are the truffles ready for use after they harden (4-5 hrs)? And does the tub get oily after using it? Yes, once the truffles are hard they’re ready to use. 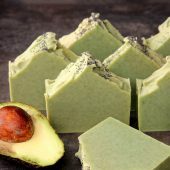 This recipe contains an emulsifier called polysorbate 80 that helps the butter mix into the bath water rather than pooling on top. There may still be a bit of oily residue in the tub though, so be careful when getting out.